Your own custom picture photo on the front of this heart cross necklace in your choice of 10k or 14k white gold, from Apples of Gold Jewelry. 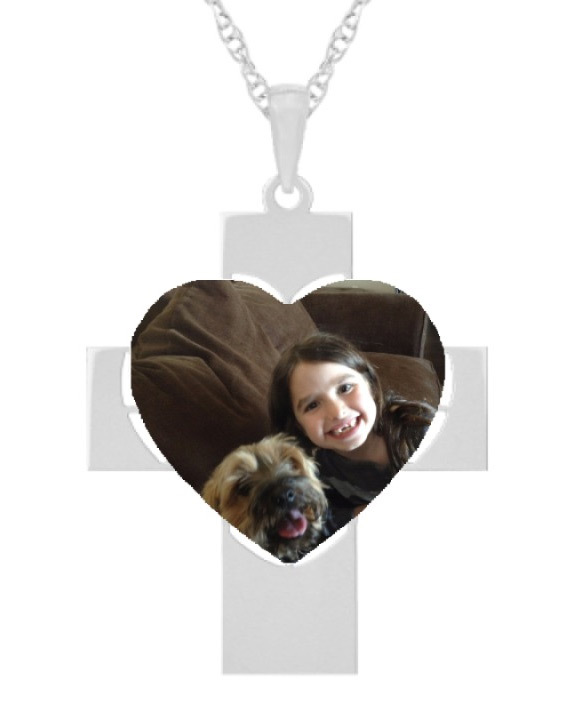 The white gold heart cross photo necklace measures approx. 1 1/3" tall x 1" wide. Once you place your order, you will receive an email confirmation. Simply respond to it and attach any photo of your choice. We will respond back within 1 business day with a real mock-up of how your cross necklace will look. Jewelry made in the U.S.A.! 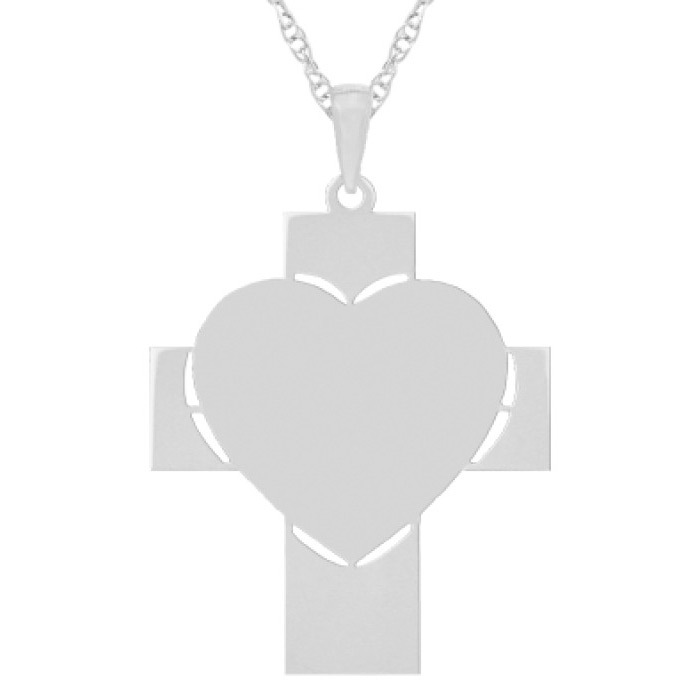 We guarantee our White Gold Photo Heart Cross Necklace to be high quality, authentic jewelry, as described above.